Hello and welcome back to episode 73! I was looking through today’s guests photos and I was just so overwhelmed, I couldn’t stop the tears from coming. The people who have come on this podcast have done something so truly incredible, something that required they give all of themselves in the hope that in return they would discover something beyond even their own wildest dreams. They had to believe in something SO MUCH BETTER & BIGGER than anything they had ever experienced or known before and when you see how they have been rewarded for their commitment, grit and determination, it can’t not bring tears to your eyes. This week I was lucky enough to sit down with the truly inspirational, Josh LaJaunie, co-author of Sick To Fit, a life changing & game changing book that will help you take control of your health and fitness once and for all by sharing practical and doable strategies that Josh himself used to lose over 220 pounds and get in the best shape of his life. Josh is from South Louisiana and has come along way since his days spent hunting, fishing, drinking, playing football and consuming a standard American diet. 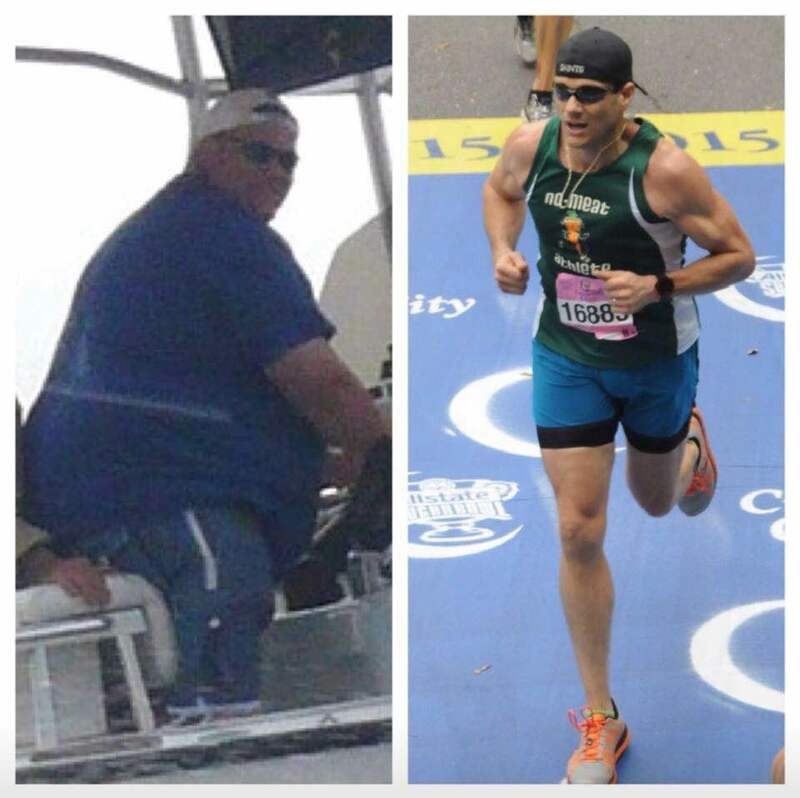 In this interview Josh shares how he lost over 220 pounds (from 420 pounds) to become an avid runner, athlete, author, motivational speaker, health coach and so much more. Josh’s story will give you goose bumps but his delivery will leave you inspired to take action. Josh’s journey has been so inspirational within his own family that they have all lost a combined 1000 pounds!!!! This was the first time I’d heard anyone say this and it was a definite ‘light-bulb’ moment for me on my own health and fitness journey. I have come up against so many plateaus and back slides and dips and dives throughout my own journey losing weight and overcoming Multiple Sclerosis and never have I heard someone put it so simply - ‘The norm is the enemy’ to reaching health and fitness goals, to personal growth, to optimal weight loss, to any area of life at all - when we get comfortable, we stop growing, we stop challenging our own status quo, we stop expecting better from ourselves, we stop striving to reach an even higher level of personal potential. When we reach that inevitable weight loss plateau we can so easily start to backslide because all the things we’ve found that helped us lose those first 20, 30 pounds are no longer working, but like Josh says in this interview, you can’t expect that what you did to lose those first 20 pounds is going to work for the next 20. You have to change your game. You have to move out of your comfort zone and then that needle will start to move again but nothing will change until you do. Don’t spend days dwelling on that pack of Oreo’s you devoured on the drive home from your family trip away, focus on all the times you killed it instead! Focus on those times you made it out to exercise, on all the wonderful, low fat, whole food, plant-based meals you ate around that 1 pack of Oreo’s and just keep moving forward! You’ve got this! Even the smallest crack, the smallest wins on the board are leading you somewhere incredible. Those cracks create the space to plant the seed that might just transform your life forever. Check in on your Mindset - Where is your mind today? If you enjoyed this episode, I would be so grateful if you could share it with your family and friends on social media or over the dinner table, also if you have a moment to head over to Apple Podcasts and leave a review as it helps this podcast to reach more people around the World who might need to hear Josh’s story or one of the stories shared by the other incredible people who have come on this podcast. Thank you to everyone who has already done this, I appreciate you all so much. Thank you so much Josh for coming on the show and thank you all for listening.